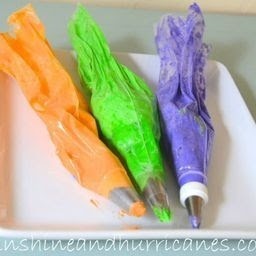 Here’s another fun and simple idea for your Halloween Festivities! These adorable Monster Halloween Cupcakes come together SO easily and are perfect for kids to create at a party at school or home! Our 6 kiddos had a blast letting their imaginations run wild and even more fun eating their creations! These Monster Halloween Cupcakes are super easy to make. It’s nothing fancy, just use your favorite cupcake recipe, box mix, or most grocery store bakeries would gladly sell you unfrosted cakes if your school prohibits homemade treats. The biggest tip we had to remind the kiddos of was just to keep the bag straight up and down, not too slanted. But truly, even the slanted ones were cute, there is really no messing these monsters up! , large & small, to complete our not so scary treats! 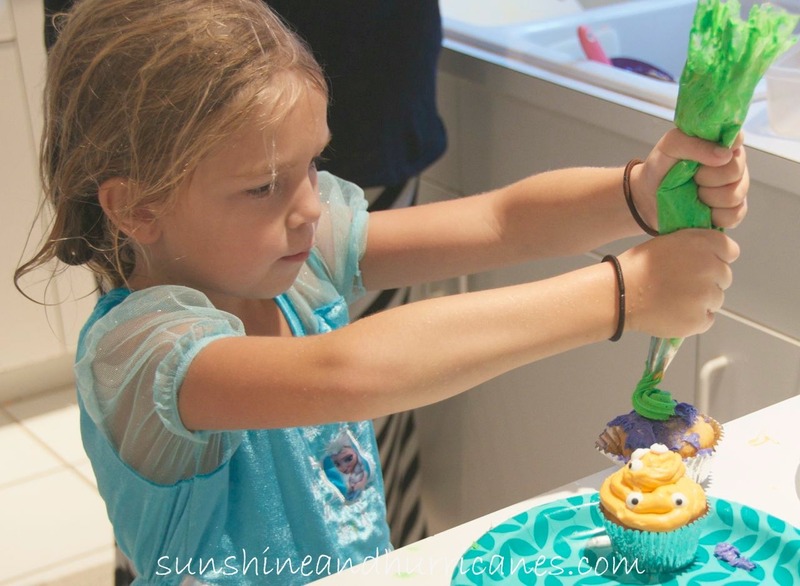 These little Monster Halloween Cupcakes would be a great classroom activity, a cupcake decorating station at a Fall Festival, or something fun for the kids in your neighborhood to make! Looking for EVEN MORE Halloween Fun? 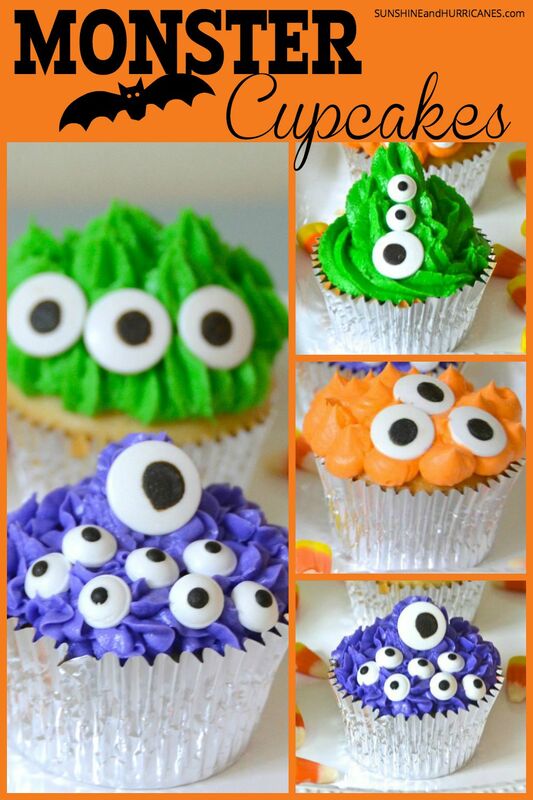 How would you decorate your Monster Halloween Cupcakes? Oh. My. Stars. So cute! These are so cute! 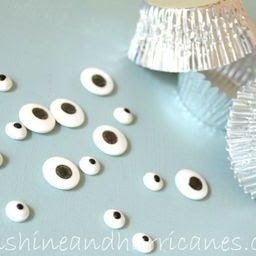 My daughter would have a ball with those eye candies – like edible googly eyes!